Welcome to the new home of all things Whitey. Now do not let the name fool you into thinking of slurs, no it just happens to be a term from way back when, that was picked up by the media and ran with regarding this Old Legend of Lore. We are now housing the largest collection of data gathered regarding this elusive creature. As we started digging into this legend for our upcoming documentary, we even heard reports of recent potential sightings during none other than.... Portfest. ​so sit tight. the Data is coming as it is being processed now. This Category will house everyday people and their accounts and recollections of the monster. We invite you to submit you own photos from sightings, local Christmas parades with Whitey, from the most recent all the way back to the early days. Got video too..... lets see it. 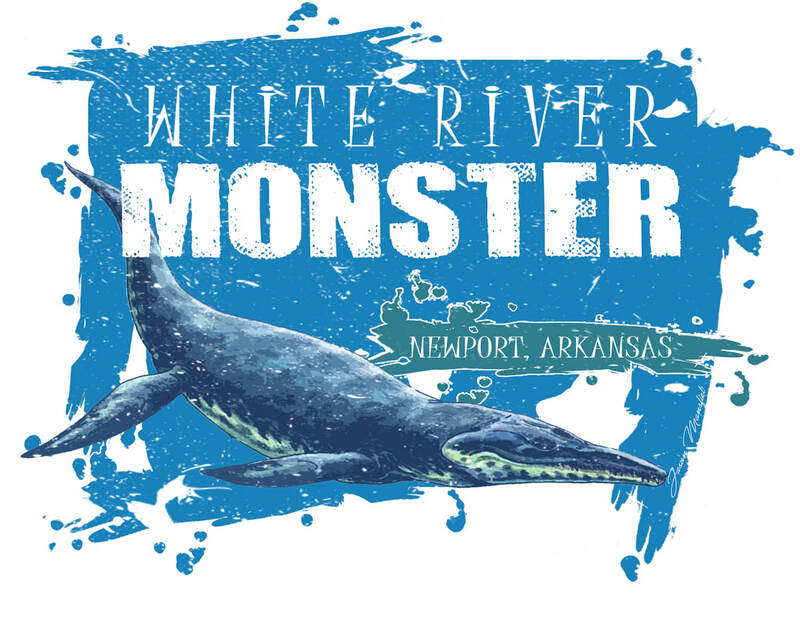 ​In Arkansas folklore, the White River Monster is a large creature reportedly first spotted off the banks of the White River near Newport in northeastern Arkansas. 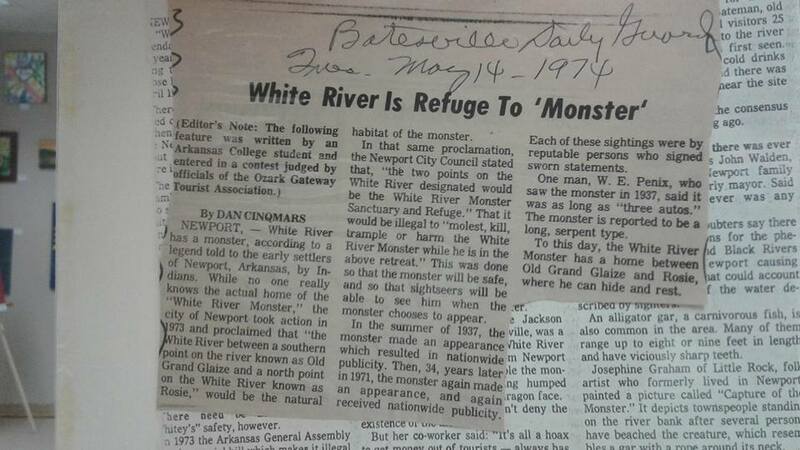 Although reported in the press as a "monster", it is reported to be deeply loved by neighborhood residents near this portion of the White River, and the monster is referred to locally as "Whitey"
In 1973, the Arkansas State Legislature signed into law a bill by state Senator Robert Harvey, creating the White River Monster Refuge along the White River. 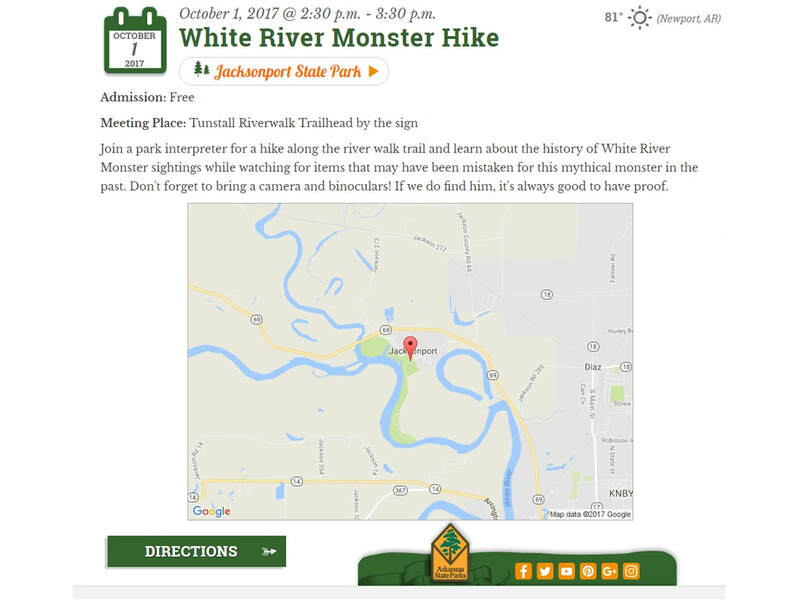 The area is located between “the southern point on the river known as Old Grand Glaize and a northern point on White River known as Rosie.” It is illegal to harm the monster inside the refuge.